A Magic Show for the Entire Family! Matthew Laslo is a 18-year-old, rising young star in the magic world and an award-winning magician who performs both close-up and grand illusions that has thrilled audiences worldwide. He is an accomplished performer who brings a youthful, innovative approach to the art of magic. Laslo made his national television debut on CW network’s PENN & TELLER: FOOL US and impressed the duo with his originality and showmanship. Most recently, he had the great honor to perform for China’s #1 television show, “The Amazing Magicians,” where he wowed 270 million viewers with his fresh & charismatic style. Had so much fun shooting The Amazing Magicians TV show in Nanjing, China! I’m currently working on new pieces for my show. It’s a super creative and fun time for me. I’m looking forward to sharing what I come up with soon! Considering public speaking is one of many adults’ greatest fears, few of us can imagine standing up and holding court before 270 million people. Even fewer could not only do so, but do it with ease and grace as a teenager. 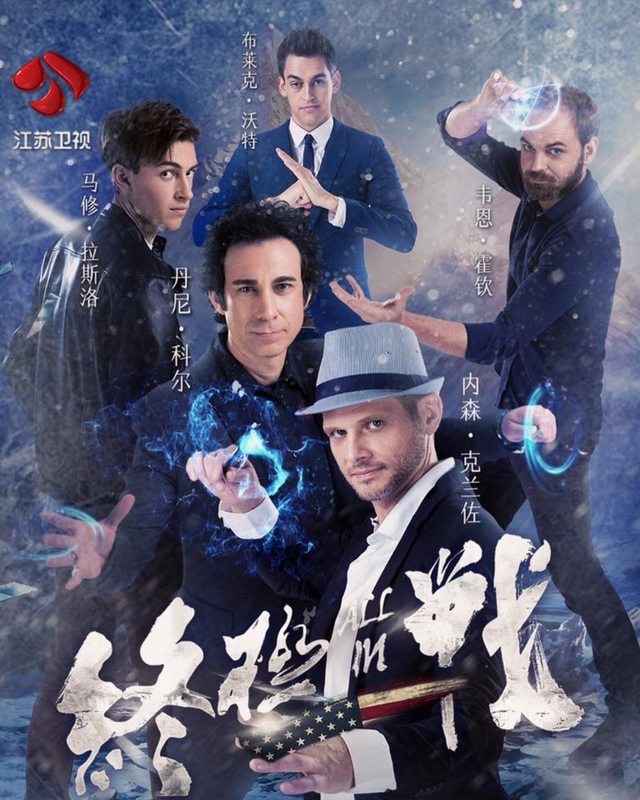 As one of the recently featured performers on Chinese television show The Amazing Magicians, Matthew Laslo has done just that. The 17-year-old from Washington recently flew overseas to film an episode of the reality TV competition, which is the most-watched show in China. Unsurprisingly, he was the youngest member of his team, a group of five international performers pitted against five Chinese magicians and challenged to show their best tricks. The show’s producers invited Laslo to participate after seeing him on Penn & Teller Fool Us, which is increasingly a gateway appearance for many of the next generation of magicians. While it wasn’t his first rodeo being filmed, Laslo said the production was much larger than any he’d previously been a part of. The Amazing Magicians has hosted several of magic’s biggest and most beloved names. Madhi Gilbert, Patrick Kun, Hara, Blake Voygt, Wayne Houchin along with many other magicians from all over the world.were on the program in late 2017, We'll be keeping our eyes peeled for clips of Laslo's appearance to arrive online.